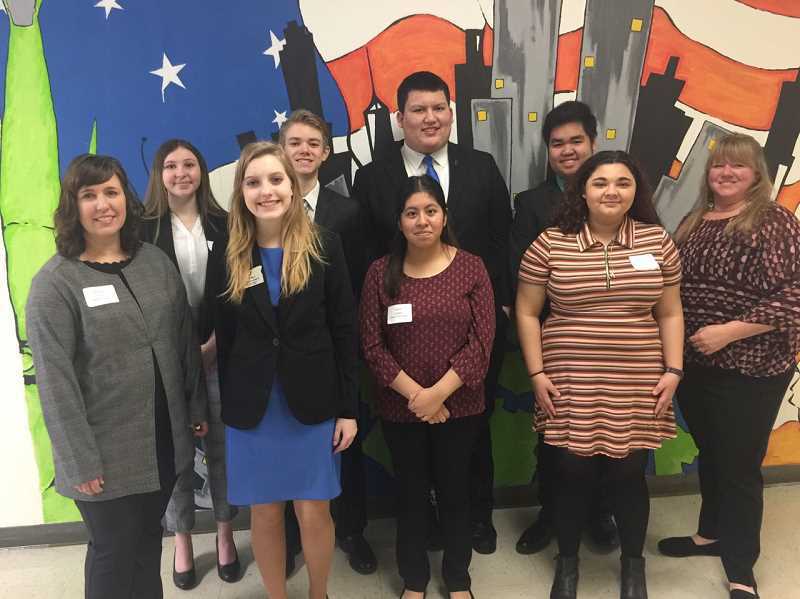 All of Molalla's Future Business Leaders of America students who competed at regionals this month will continue on to state. 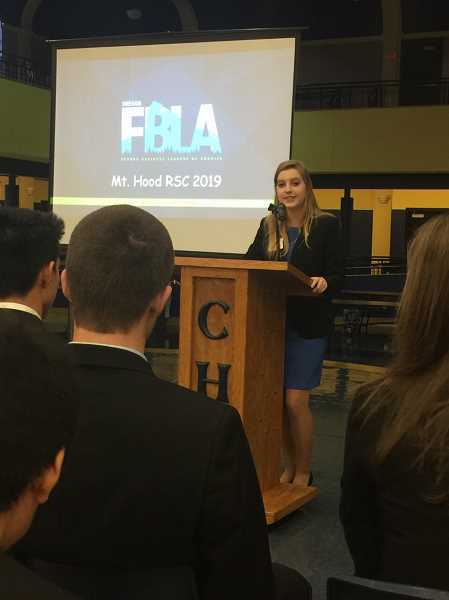 The regional FBLA competition took place at Canby High School on Jan. 19 with events such as entrepreneurship, public speaking and journalism. Molalla's members placed in a slew of categories and even came away with several first-place wins. "This is the Molalla FBLA chapter's fourth year in existence," said Adviser Corri Ellis. "The more experience we are acquiring, the better our members are doing." Still, Ellis said regionals serves as something of a practice round for state. "It is wonderful for the students to present in front of local business people and to receive feedback from them," Ellis said. The chapter's reporter Kiel David Martin echoed the idea that regionals serves as good practice for students. "Currently, each member is using feedback they received from regionals to improve for state," Martin said. Molalla's results are as follows. The state competition takes place in Portland on April 3-6.